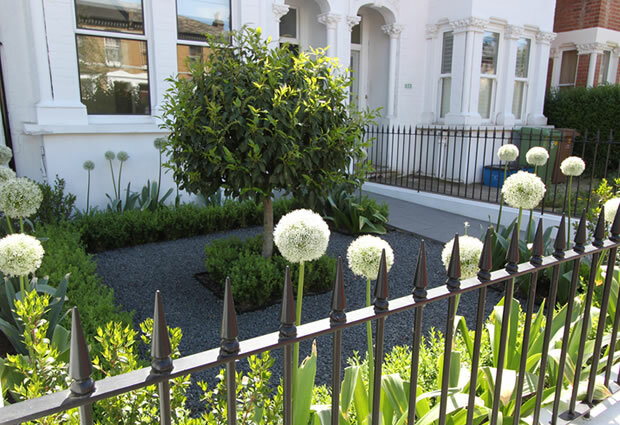 This garden Design in East Dulwich South London is all about the use of clean, fresh, contemporary materials meeting formal outline, symmetry and framework. 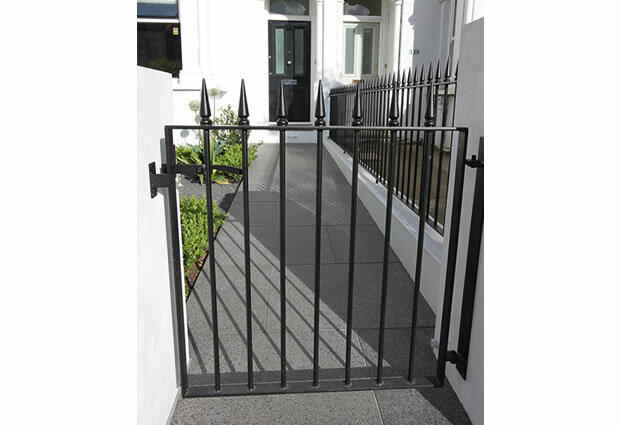 Well-crafted bespoke garden railings top creamy stone rendered boundary walls. 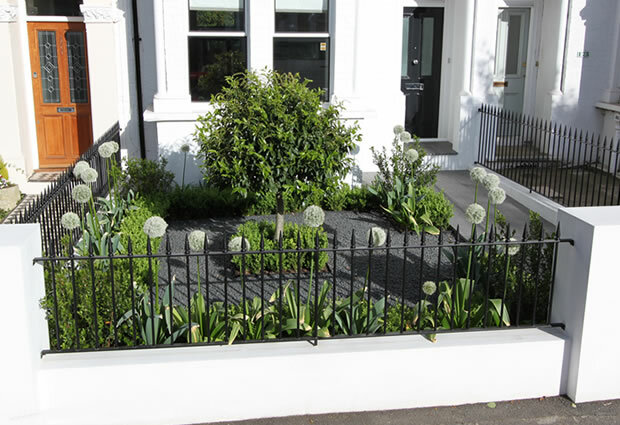 Black basalt decorative gravel and pathway paving form the base, for the planting designs pallet of greens, purples and whites with the beautiful half standard Laurus as the garden designs focal point. 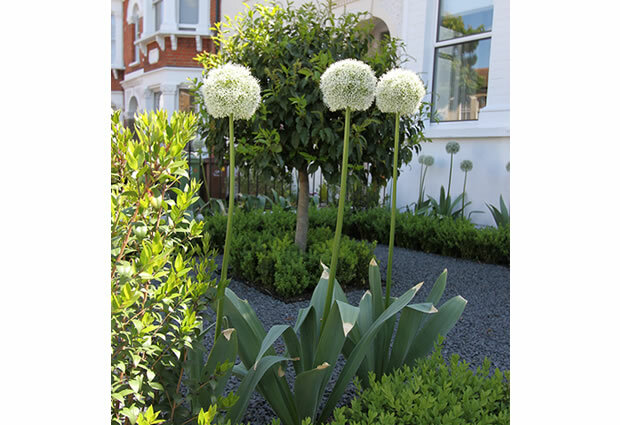 Atmospheric garden lighting brings the place alive at night setting off garden and house as one. 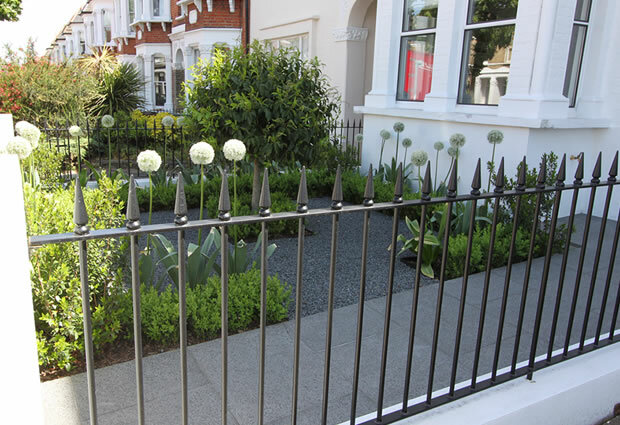 We build our gardens with a passion, setting our standards high, to give the best design and build experience.